Chrissy Peterson has 13 years of experience in environmental consulting with a focus on human health risk assessment to ensure potential human and ecological receptors are not exposed to unacceptable levels of risk. 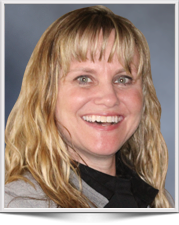 She has extensive experience in field investigations and database management. Chrissy has managed and conducted field investigations and designed data management systems to efficiently manage large quantities of data while ensuring data buy zoloft online usa. Her specific experience includes conducting human health risk assessments and the preparation of risk assessment work plans for projects under state, federal, and international regulatory agencies. Chrissy also has experience in completing environmental site assessments, EPCRA Section 313 Toxics Release Inventory reporting, and a range of multimedia sample collection techniques. Certificate in Environmental Health Assessment, University of Pittsburgh, Graduate School of Public Health, 2010 – Present. Chrissy has conducted human health risk assessments and prepared risk assessment work plans for projects in Kentucky, Indiana, Louisiana, Oklahoma, Maryland, Missouri, Virginia, Washington, D.C., Ontario, Canada, and New South Wales, Australia. She has utilized state and federal guidance programs to determine if further action was required to meet risk-based criteria; developed conceptual site models for complete and potential exposure pathways; evaluated current and future land uses, researched government, academic, and corporate databases for chemical and physical toxicological information; determined site-specific and non-standard exposure parameters based on internet research and professional judgment; and incorporated models such as the Johnson and Ettinger indoor air model for exposure assessments. Chrissy has developed risk based cleanup levels to aid in the corrective measures process for sites in RBCA and voluntary cleanup programs in Georgia, Indiana, Ohio, and Pennsylvania. She has performed Screening Level Ecological Risk Assessments at sites throughout the US and Canada to determine potential negative impacts to ecological receptors. Chrissy is currently pursuing a Certificate in Environmental Health Assessment in the University of Pittsburgh’s Graduate School of Public Health. In the pursuit of her certificate, she has taken courses in chemical fate and transport, biostatistics, risk assessment practices, and toxicology. In addition to risk assessments, she managed several projects using MS Access and ESRI ArcGIS software to aid in the delineation of contaminants, summarize historical and current site activities, and help create seamless projects that were easily accessible by a wide range of clients; acted as a liaison between laboratory manager and project managers to coordinate correct and timely deliverables. She also developed several macros for use in MS Excel to increase efficiency in data management and generation of report quality deliverables. Chrissy organized and lead several site investigation activites under RCRA and superfund regulatory programs located in Kentucky, New York, and Florida. Other responsibilities at sites included managing subcontractors, managing subsequent data and reporting and obtaining information from the internet to support report writing and creation of GIS maps for karst delineation at a RCRA site. Chrissy has worked directly with client representatives, legal counsel, and lead regulatory agencies to successfully address and accomplish project objectives. She has designed and managed a domestic well survey of over 500 residences for a Superfund site in Florida. As part of the survey, she met with residents on opposing side of litigation to address their questions and issues, while representing the client in a professional and friendly manner. In addition, Chrissy has compliance and due diligence experience; reviewed company files and database reports to identify potential environmental liabilities associated with potential business purchases; filed SARA Title III reporting documents in several states; conducted a Tier II training session to provide compliance instruction for employees new to the Tier II reporting process; performed Phase I environmental site assessments at petroleum bulk storage facilities, gas stations, warehouses, and vacant properties in several states to aid in the negotiation of mergers and acquisitions and definitions of areas of investigation and potential remediation. Chrissy has coauthored several articles on human health and ecological risk assessment as wells as SPCC regulations.